One of the things we are looking at in our church is ‘quiet time’. Traditionally this means reading the Bible, with a study guide for a period each day. 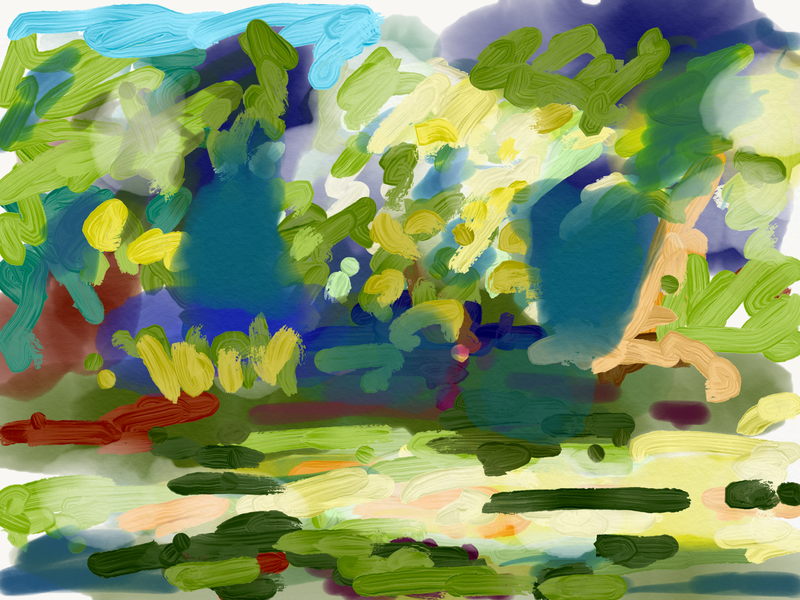 With my new iPad I found my own quiet time sitting by the pond in Priory Park. There was a lot going on in the park, a lot of people coming and going for a community fair, but it all melted away as I looked at the light on the pond and trees. In this period of uncertainty it’s more important than ever to find some quiet time, however we do it. I’m all in favour of Bible study but I may just be going back to the pond to do another painting. This entry was posted in Faith, Painting, Uncategorized and tagged priory park, quiet time on July 2, 2016 by Monica's Books.